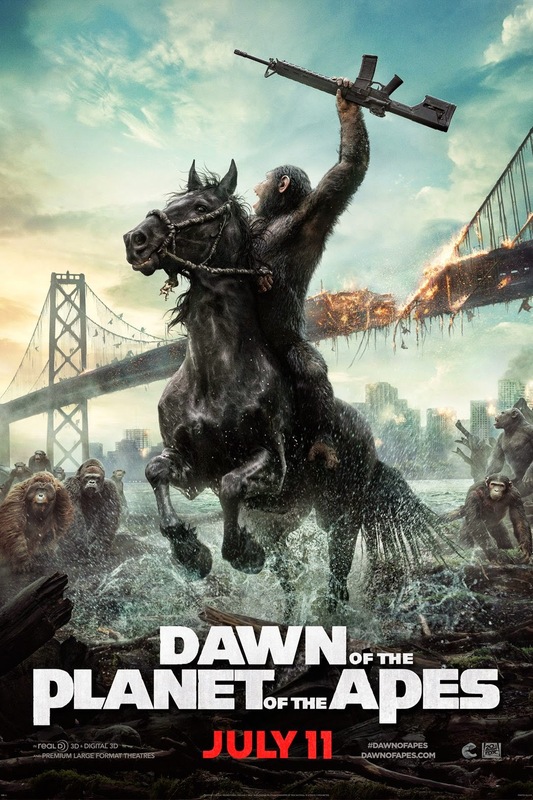 In the third entry of the Planet of the Apes reboot series, Caesar (Serkis) wages his most personal battle yet. It is two years after the events of Dawn of the Planet of the Apes, and the ape population has been dwindling due to a protracted war with the humans. When Caesar’s wife Cornelia (Greer) and younger son Cornelius (Devyn Dalton) are kidnapped by humans, Caesar heads into enemy territory to rescue them. He finds himself face-to-face with Colonel McCullough (Harrelson), a nigh-psychotic soldier hell-bent on obliterating the apes for good. 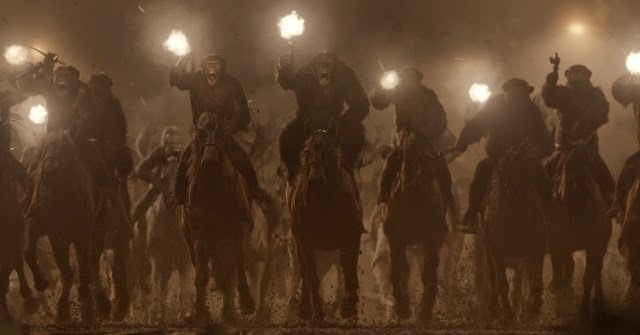 McCullough and his men are assisted by apes who were followers of Caesar’s late rival Koba, and who defected to the side of the humans for fear of reprisal from Caesar. Maurice (Konoval), Caesar’s advisor and confidant, adopts a young orphaned human girl named Nova (Miller). Maurice, Nova, Rocket (Notary) and “Bad Ape” (Zahn) scope out McCullough’s encampment, looking for a way to liberate the apes who have been captured and enslaved. As humanity and apes make what each perceive to be their last stand, Caesar is in danger of being consumed by vengeance and hatred, and going down the path Koba did. The Apes reboot films have set a high bar for any reimagining to follow. Reboots are often viewed as hollow, money-grubbing exercise, but Rise of the Planet of the Apes more than made an excellent case for its existence. Then, Dawn topped that, and the third instalment in the trilogy upholds that standard. This is an intense experience – it’s a war film, and more specifically, a prisoner-of-war film. Director Matt Reeves and screenwriter Mark Bomback have listed Bridge on the River Kwai as an influence, and the film cuts through its fantastical elements to deliver a searing, haunting drama. In 2011, 2014, and now in 2017, Apes movies were released shortly after Transformers movies, almost as if to function as antidotes. 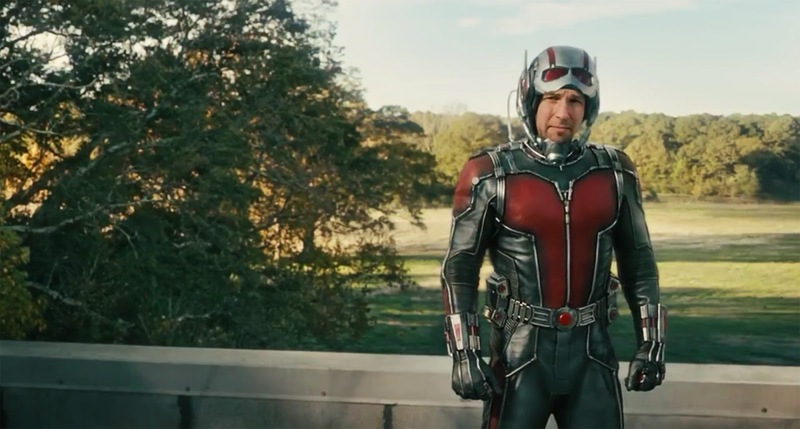 It’s good to have a reminder of just how good and how powerful a well-made blockbuster can be. There are several dialogue-free stretches of the film during which it’s carried just by glances and gestures. The political commentary and the darkness of the story are tempered with an abundance of spectacle, culminating in a climactic showdown complete with explosions of fire and ice. Despite the sheer quality of the visual effects work even back then, the apes in Rise were still a little challenging to buy as fully-fledged characters. Granted, it was also early in their evolution. 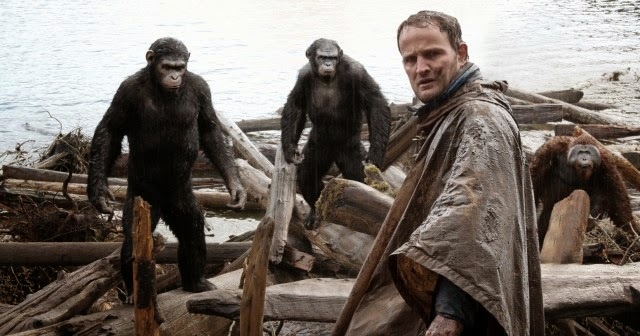 In Dawn, and even more so here, the apes are so much more than visual effects flourishes. 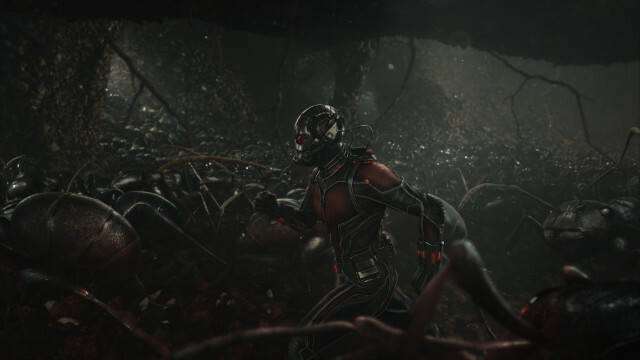 The superlative work of Weta Digital, supervised by Joe Letteri, complemented by the performances of Serkis, Greer, Notary and the other performers, make the creatures utterly believable. It gets to the point where they stop registering as digital creations, and the audience can fully buy into their journeys and arcs, as individuals and as a shrewdness. Each ape projects a sense of humanity, and having followed Caesar this far, it does sting to see him weary and haggard, wondering if his continuous struggles have been worth it. We get a tiny bit of comic relief in the form of Zahn’s kooky Bad Ape, but this doesn’t undercut the overall seriousness of the film. While the presence of Miller’s Nova does seem derivative of any number of “a kid and their X” stories, the bond that she develops with Maurice is convincingly fleshed out, and the film refrains from using Nova as an emotionally manipulative plot device. The apes’ willingness to accept a human child into the fold also indicates that a war with humans isn’t their first course of action. As the human antagonist, Harrelson is utterly terrifying – it’s probably the scariest he’s been since Natural Born Killers. Harrelson has become known for playing eccentric, rough-around-the-edges but ultimately likeable characters. In War, his performance echoes the characters of Vietnam War movies like Full Metal Jacket and Apocalypse Now. This is a film that doesn’t so much turn on battles as it does on confrontations. The central confrontation between McCullough and Caesar is a riveting nail-biter of a scene, impeccably staged and acted. McCullough is a larger-than-life character, but there’s no goofiness to him. Adding to the air of uneasiness around the character is the cult-like nature of his faction, and how he depicts himself as something of a prophet. Many action movie soundtracks tend to sound indistinct, but Michael Giacchino’s score for this film packs plenty of personality. Giacchino employs a variety of textures, including an emphasis on pitched percussion instruments like the marimba, eliciting a wide range of emotions. 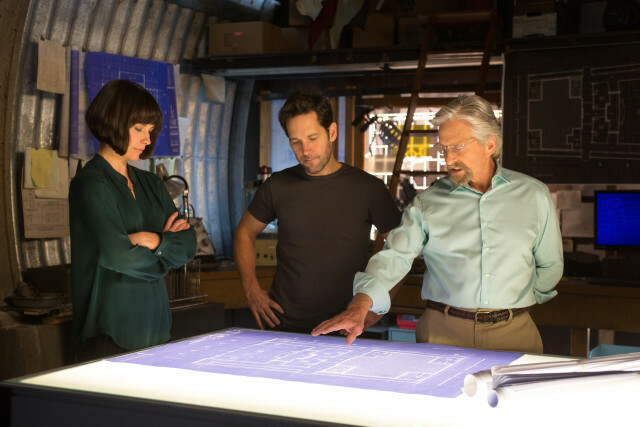 Some directors mandate that the score be “invisible”, and we’re glad that Giacchino’s work for this film is as visible and as audible as it is. War for the Planet of the Apes does demand effort from the viewer, as it takes a while to build up to the dazzling finale. Thankfully, the characters, ape and human alike, are easy to get invested in. Reeves proves himself to be a director at the top of his game, wringing drama and genuine emotion from a premise which can, and has, been handled clumsily before. While the door is left open for a sequel, War ends on such a satisfying note that it doesn’t feel like the producers are begging for another instalment. 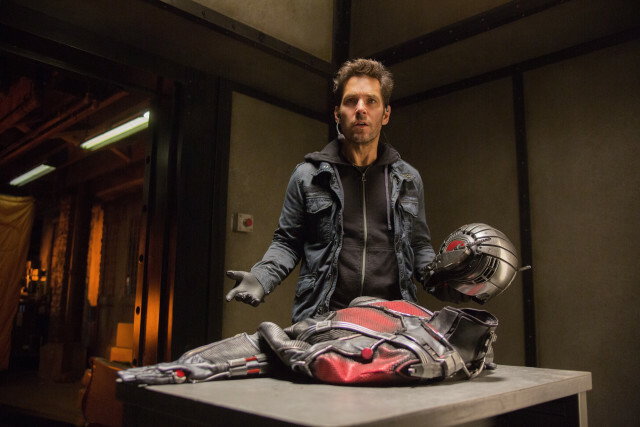 War is a stirring battle cry that caps off a consistently impressive trilogy. Summary: A sombre yet stirring and stunningly-realised adventure, War for the Planet of the Apes engages the viewer on a human level and showcases everything a masterfully-made blockbuster can be. Three years on from the release of Rise of the Planet of the Apes, this reviewer is still impressed with how effective, intelligent, innovative and just plain good that reboot was. In this sequel, set ten years after the events of Rise, earth’s human population has dwindled at an alarming rate in the wake of a devastating “Simian flu” pandemic. 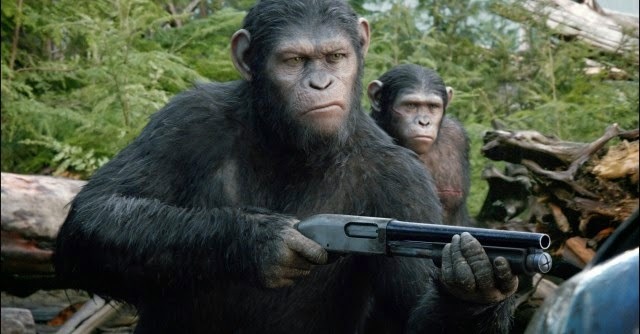 Caesar the chimpanzee (Serkis) leads a flourishing shrewdness of apes, including his son Blue Eyes (Thurston) and his aggressive advisor Koba (Kebbell). 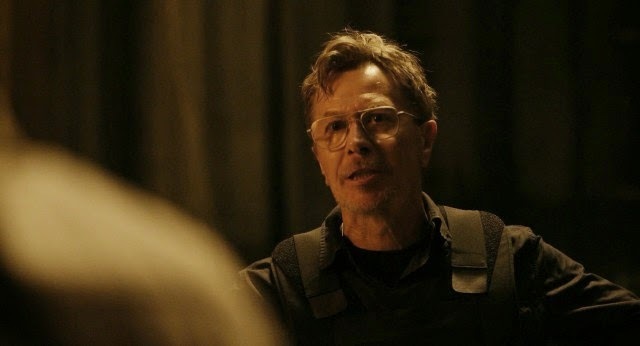 The human remnant sequestered in what remains of San Francisco is headed by military man Dreyfus (Oldman). Malcolm (Clarke), one of the survivors in Dreyfus’ camp, forges a fragile alliance with Caesar in order to gain access to a hydroelectric dam to generate power for the human settlement. 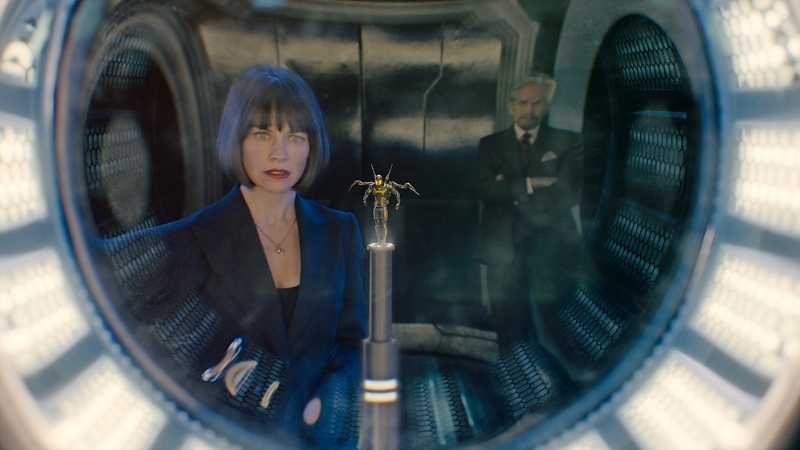 Caesar grows to accept Malcolm, his wife Ellie (Russell) and their son Alexander (Smit-McPhee). However, having been severely mistreated by humans while in captivity, Koba strongly disapproves of this arrangement and incites an explosive conflict between the apes and the humans. Dawn of the Planet of the Apes sees Matt Reeves of Cloverfield fame taking over the director’s chair from Rupert Wyatt, working from a screenplay by Rise scribes Rick Jaffa and Amanda Silver, with Mark Bomback. 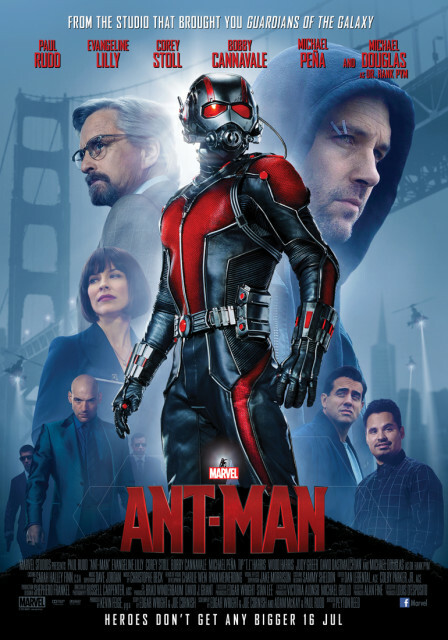 This is everything a good sequel should be, furthering the plot in a logical and intriguing direction without slavishly re-treading the story beats of its predecessor and without trying to be superficially “bigger and better” in terms of bombastic spectacle. Equal storytelling attention is given to the apes and the humans and the audience is fully able to buy into this world and accept each player in this story, be they human or computer-generated ape, as legitimate, well-formed characters. There’s a whole lot of meaningful character development going on and admirably enough, much of the conflict is derived from the characters’ individual nature instead of contrived circumstances. Despite the ten year time skip, there is still very strong connective tissue linking Dawnto Rise, building on the emotions generated from Caesar’s early years as depicted in the previous film. 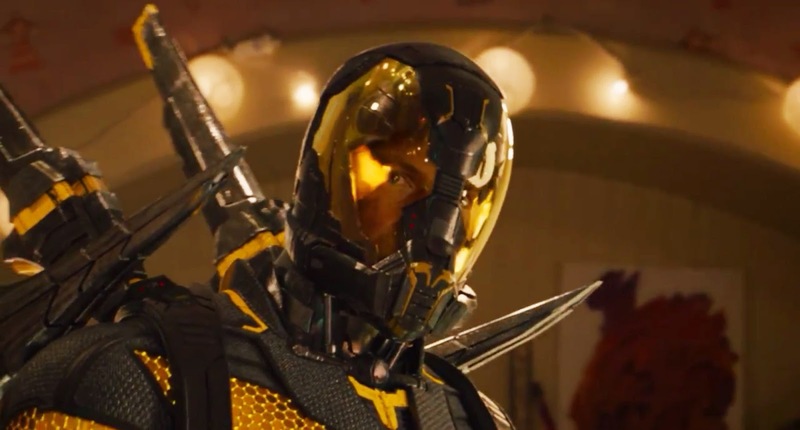 Of course, credit has to be given to visual effects supervisor Joe Letteri of Weta Digital. The many artists and technicians involved give vivid life to the performance capture work of actors like Andy Serkis and Toby Kebbell, applying their expressions and physicality to intricately-crafted CGI apes. The interaction between the apes amongst themselves, the apes and the environment and the apes and the live-action human actors is seamless. As impressive as the animation in Rise of the Planet of the Apes was, it is stepped up here, to the point that the film’s opening shot is a tight close-up of Caesar’s eyes – those eyes lifelike and actually acting. Serkis, Kebbell, Thurston and the other actors portraying the key apes all deserve praise for essaying these figures with such nuanced physicality, but the visual effects wizards carrying that baton to the finish line should be duly recognised as well. In Dawn, great acting and great effects go hand-in-paw to create not just creatures, but honest-to-goodness characters. The human cast is our way in, and Jason Clarke, Keri Russell and Kodi Smit-McPhee are all convincing as the members of the family central to the story. The terseness between Malcolm and Caesar that eventually gives way to mutual respect and understanding but is always threatened by both apes and humans is played exceedingly well by both Clarke and Serkis. Gary Oldman’s role is not as big as the promotional material would have you believe, but he brings a heart-wrenching humanity to Dreyfus in addition to his signature explosive scenery-chewing (delivered in just the right amounts). 1968’s Planet of the Apes was a landmark achievement for being an entertaining film that also pushed the boundaries of filmmaking technique (particularly in terms of special effects makeup) and was very thought-provoking. 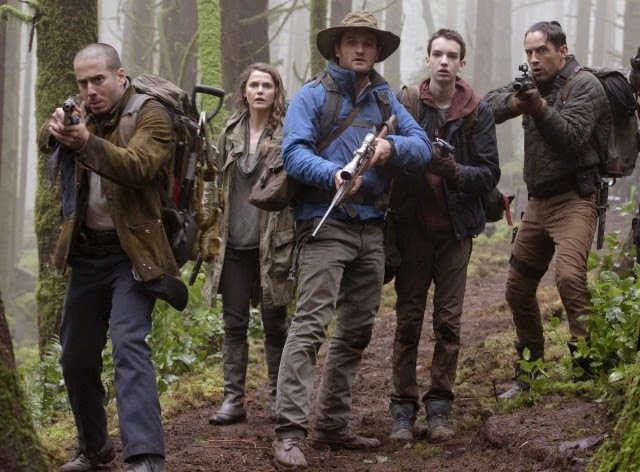 Dawn of the Planet of the Apes is commendably similar in all those regards. There’s always been a silliness inherent in the premise, but following Rise, Dawn continues to effectively mitigate that. The film is unflinchingly brutal, even disturbing when it has to be but also articulates genuine emotion. It can be construed as anti-gun, interesting considering that the star of the original Planet of the Apes, the late Charlton Heston, was the president of the National Rifle Association. However, that is not where the focus lies – Dawn of the Planet of the Apes, like Risebefore it, is a true character piece. Many summer blockbusters are touted as “character pieces” and that fools no one, but here is a film that intelligently and compellingly comments on prejudice and war while delivering the action flick goods and visual effects spectacle. A fine antidote to Transformers: Age of Extinction. Summary: A new day is dawning, as the revitalised Planet of the Apes franchise marches onwards in just the right direction.